At this time of year, many astrologers are contacted by the press to give predictions for the year to come. This is somewhat problematic, as the astrological new year actually commences at the Spring Equinox! Truthfully, to read ahead in the skies from January through March, one must turn to the Spring Equinox 2017. To “zoom in ” on this broader perspective, the Capricorn Ingress Chart (aka the Winter Solstice). can give corroborating details. Last but definitely not least, we can look at the Astro-Weather, or in Astro-parlance, the transits (the planets in the sky at the moment) Let us start by looking at the overview of the astrological year. with the Aries Ingress Chart. This chart tells an overarching story of belt-tightening, with the Moon and Saturn so high in the chart. If you put this chart on the 90 degree dial, it is by far the most active aspect, involving the Sun and Chiron (rethinking our way of being in the world) , Mercury and Neptune (realising we are being lied to ) and Uranus and the North Node (old walls tumbling down). Uranus himself has a role to play being the Mars-Venus midpoint (gender becomes increasingly fluid). 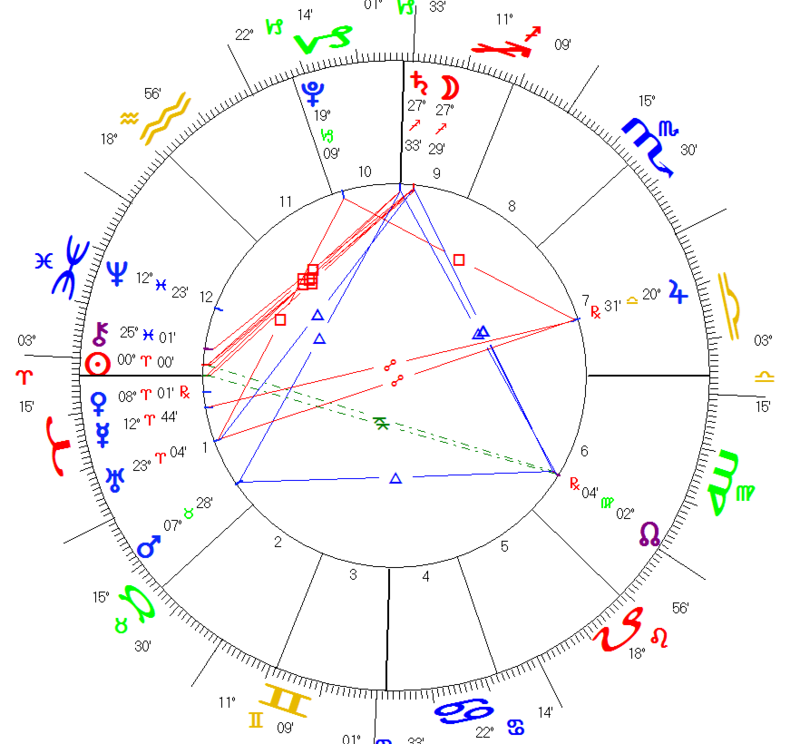 To find the story of the last three months of the astrological year, I like to place the transiting Sun at 0 Capricorn and see how it strikes the Aries Ingress chart as it transits around to the next 0 Aries point. 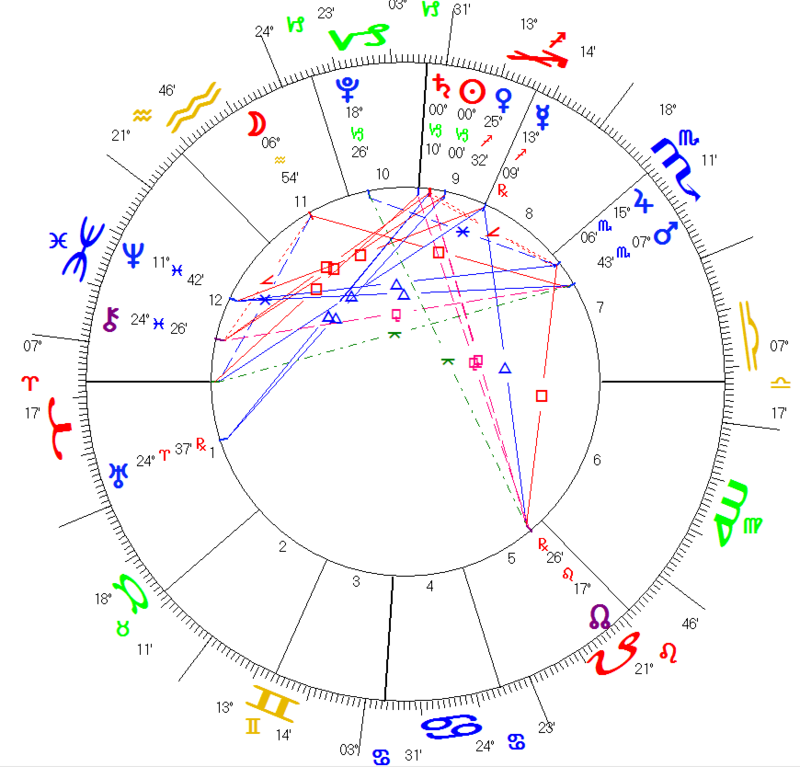 The first connection is to Mars and then Venus by trine and square respectively (28-29 Dec). This makes the end of the year a good time for warm feelings and family times. In January, Saturn is King, in his own sign and full of decorum and dignity. If you want to get your stuff together, this January is the optimum time. Try dawn on the 8th for the best impact, as Jupiter and Mars join Venus and the Sun in supporting change. Further, Jupiter is at the Uranus-Neptune midpoint. This is a great time for breakthrough ideas to take form. At 11:09 local time, the AC gets involved as well, a potent time to get things rolling! On the 21st, the Sun arrives at the Ingress Point of Fortune, so a luck day, especially for anyone with key planets and angles around the 0 degree of any sign. on the 28th and 29th of January, Mars and Venus are again at the forefront, this time Venus more friendly and Mars not do much. Try not to get stuck in a way of thinking, at least agree to disagree, as in a few days, it might come to light that you did not have all of the facts. In February, the 10th is a great day as the Sun will trine Ingress Jupiter. It is easy to feel optimistic in these circumstances, so make plans by all means, but remember that Saturn will have the final say this year over all.By the 17th, the wonderful new plans will have had a dose of reality injected into them, as Saturn and the Moon get involved. It’s okay – this dose of reality will make it more that the plans will succeed! The last aspect to the Aries chart in February is a helpful nudge from Mars on the 28th to keep things rolling forward. March comes in like a lion with a square to Mercury on the 5th, followed by a square to Jupiter on the 15th and the Moon and Saturn get the final say on the 20th, just in time for Spring Equinox 2018 – the TRUE New Year from an Astrological perspective. Astrology is a statistical science, so we want to triangulate to get the most accurate understanding of the data. Whereas the overarching year chart spoke of the moon with Saturn, this chart shows Saturn challenging the Sun. Not just a feeling of hard time coming soon, in this chart, hard times have come. Venus tells that the hard times are around money and Mercury (the other money planet) agrees. Pluto lights up this chart, being the midpoint of the Sun/Saturn and Moon/Mars and he is deposited by Saturn, all of which speaks to a dose of reality all around. Pluto’s style is abrupt and sometimes brutal, but he clears the way for healing and a new way of doing business. The Moon is also Square both the Spring Mars, and the Winter Mars, which has come around to an exact opposition from last March. Locally, she sits in the mundane houses of the legislature, so I would expect some tricky negotiations and balancing in local politics, between two angry parties or interest groups. On the 31st of January, there is a Lunar Eclipse visible on the west coast of Canada and elsewhere at 11 degrees of Leo-Aquarius, which connects with the Moon Node Midpoint. and the Jupiter Mars midpoint of the Winter chart. Where that eclipse is visible, we may expect a shift int the methods used to accomplish changes in how things are done. 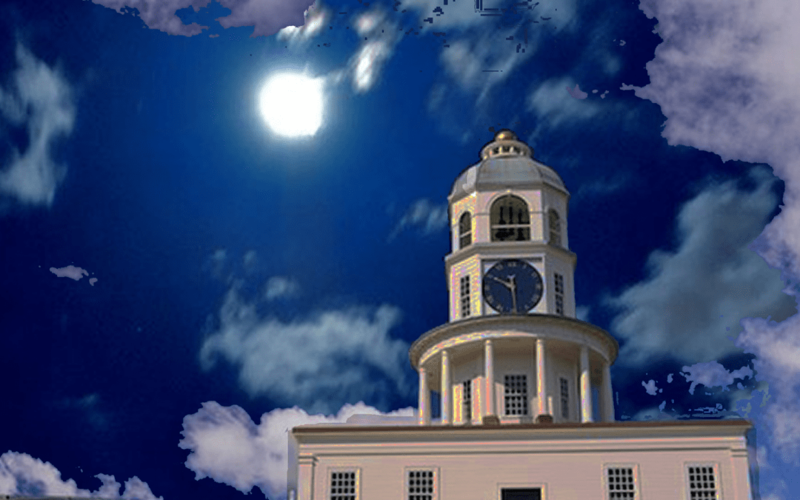 On the 15th of February, there is a partial eclipse of the Sun not visible here in Halifax, at 27 degrees of Aquarius. Where it is visible, this may shake up the political landscape, uncovering more things we the people probably don’t want to know about. The one big positive in this chart is the sheer amount of energy available. Use it to trim up your life in whatever area Saturn is transiting at the moment for you. In these last months before the big reveal for 2018, it is a great time to budget, lose weight, declutter – even make plans for the year ahead. to find out all about the rest of 2018!